It's beginning to look...and feel… a lot like Christmas! It was another chilly week over here on the Space Coast, but this weekend will be a little warmer than usual! Unfortunately, next week the highs will drop back into the 60’s. 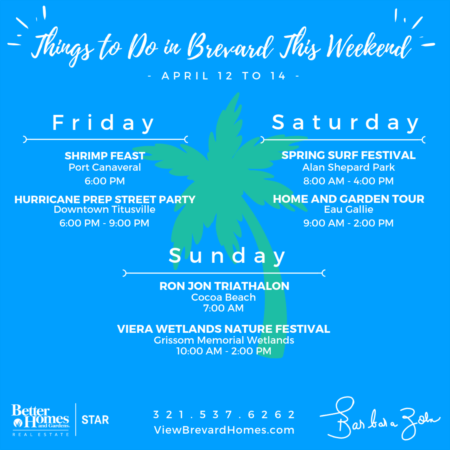 Take some time to enjoy yourself this weekend with some of these fun events happening around Brevard! It's the First Friday of December! That means lots of our favorite “First Friday” events are going down. First is the Viera Park Market and Food Trucks! Relax and enjoy shopping and food from over 50 different vendors and 8 food trucks. The market is fro, 2:00 pm to 9:00 pm at Viera Regional Park. In accordance with EGAD First Friday, Eau Gallie will be hosting their Holiday Tree Lighting with Santa! Join Jolly ol' Saint Nick in Eau Gallie Square for the annual holiday tree lighting. Enjoy seasonal music and shop Highland Avenue for original, handmade gifts found only in the shops of Eau Gallie. Have dinner in an EGAD restaurant or in the Square at Tacomania and Woodson’s Wrap Shack. Enjoy hot cocoa and a variety of other seasonal beverages. Music by the ever popular Groove Affiliation. This event is from 6:00 pm to 9:00 pm. Head on over to Cape Canaveral for their Friday Fest/ Holiday in the City Party! There will be musical performances, a Santa’s workshop craft activity, vendors, food trucks, beer, and wine! This is a dog friendly event and goes from 6:00 pm to 10:00 pm. 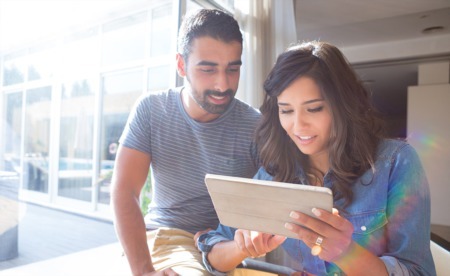 Saturday is chock full of great events! Get up early and check out the Blazing Wheels Car Show at Larsen Motorsports in Palm Bay! From 8:00 AM to 2:00 PM there will be live music, food trucks, giveaways, and a showcase of jet cars! Spectators are free and show cars are $15. Looking to burn off those extra Thanksgiving calories that are still sitting around? Join the fun at the Cape Canaveral Reindeer Run!! Race day registration is $35. The race starts at 8:00 am at Cherie Down Park. Holiday costumes are encouraged! All proceeds benefit the Brevard County Sheriff’s Charities- YDC Program. 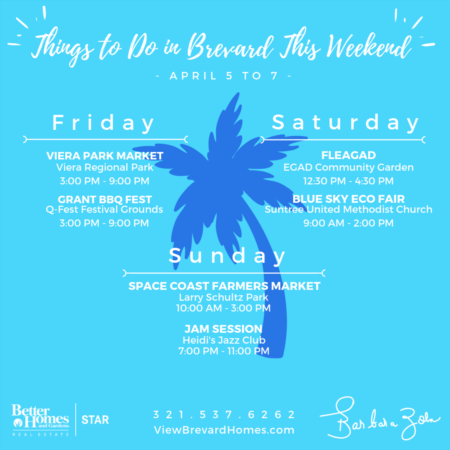 Cocoa Beach has a lot going on Saturday! First, you have to see the Cocoa Beach Street Parade. The parade kicks off at 2:00 pm and will go until around 4:00 pm. The parade route goes around downtown Cocoa Beach - be sure you don’t miss it! After the parade, stroll back down to mainstreet for the CB Winter Fest Street Party! Food, vendors, and fun! There will be “Florida Snow” for everyone to enjoy. It will be a good time! And then to wrap it all up, at 6:00 pm there is the Cocoa Beach Boat Parade! Check out the website to see the route and scope out the best places to watch! It's one of Cocoa Beach’s most fun traditions! Looking to see Santa? Well, he will be making an appearance at the Rockledge Gardens on Sunday from 12:00 pm to 3:00 pm - with free admission! Come tell him just what you want for Christmas and take some sweet pictures with Kris Kringle in the gardens! 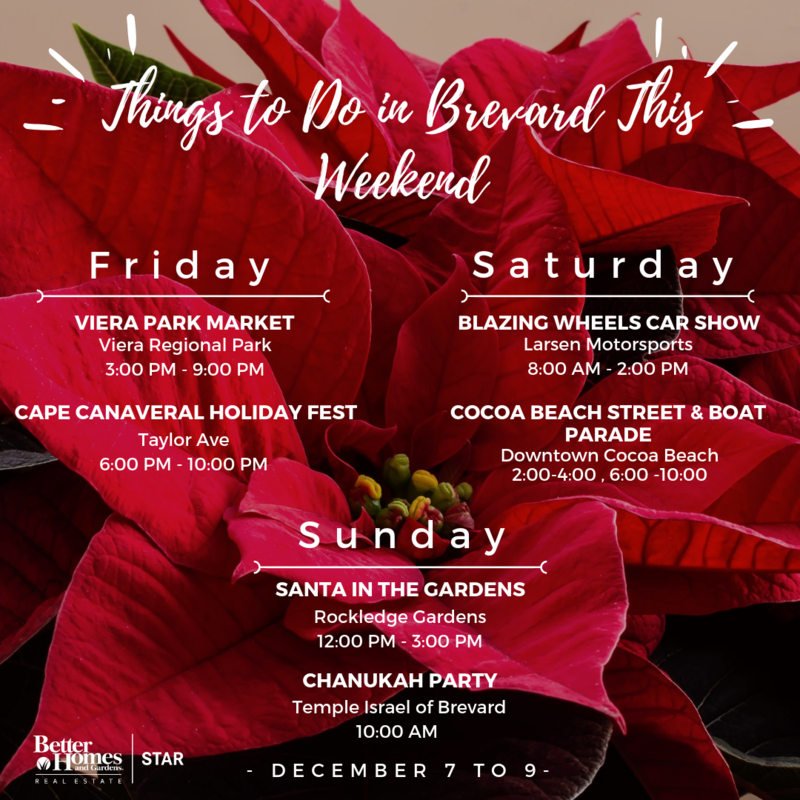 Chanukah is here, and to celebrate, Temple Israel of Brevard is hosting a Chanukah party on Sunday staring at 10:00 am! Admission is free, but donations are appreciated. Join them for this fun family event celebrating the Festival of Lights! There will be latkes, games, make & take LEGO dreidels, crafts, photo booth, and more! All are welcome - Bring a friend!